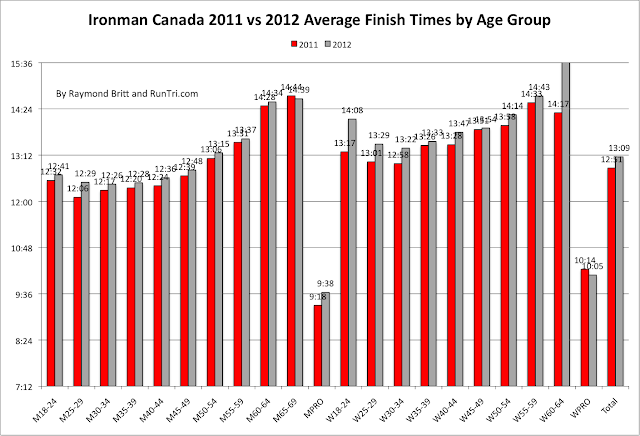 Congratulations to the 2423 triathletes who finished the 2012 Ironman Canada in an average time of 13:09. 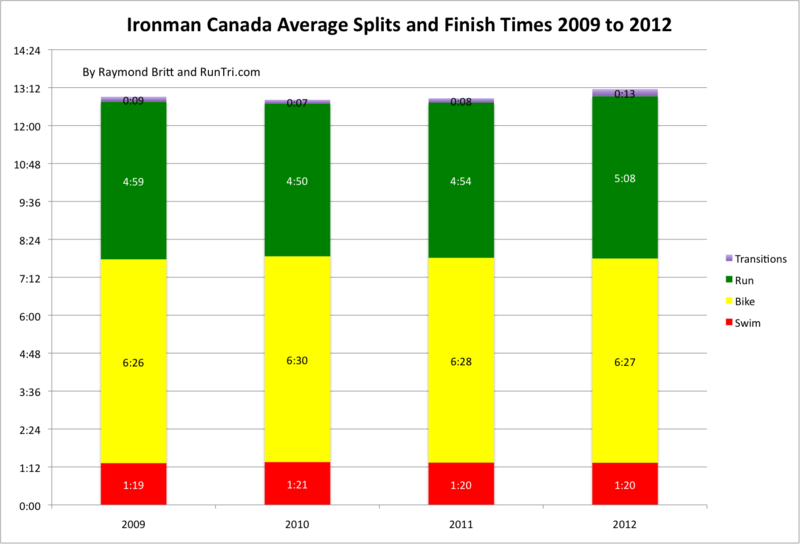 The 2012 race may have had tougher conditions than normal. The average time exceeded 13 hours for the first time in recent years. 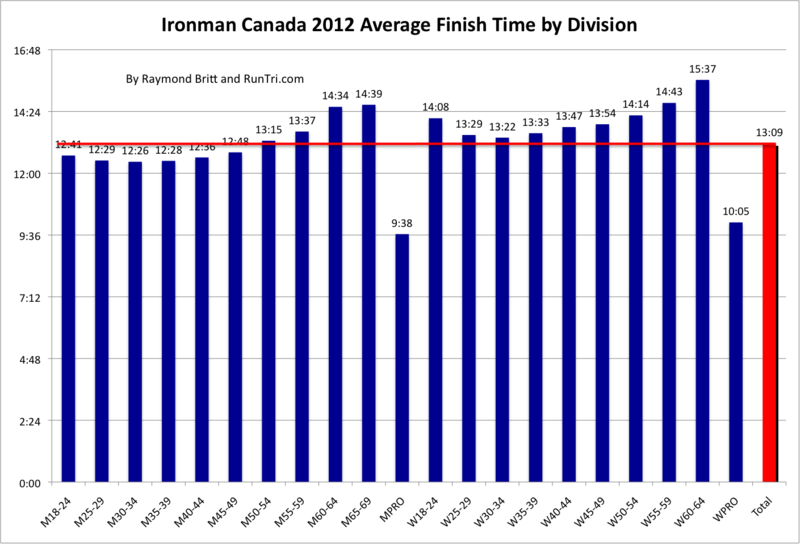 Typical average finish times at Ironman Canada tend to be in the 12:50 range. 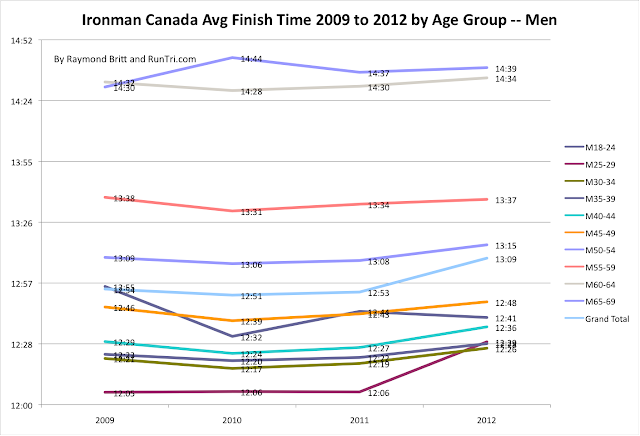 The difference in 2012: the marathon was 10 to 15 minutes slower than usual. Of course, the ranges vary for each age group. And we've run the numbers to do just that analysis: overall, by year, by age group, and more. 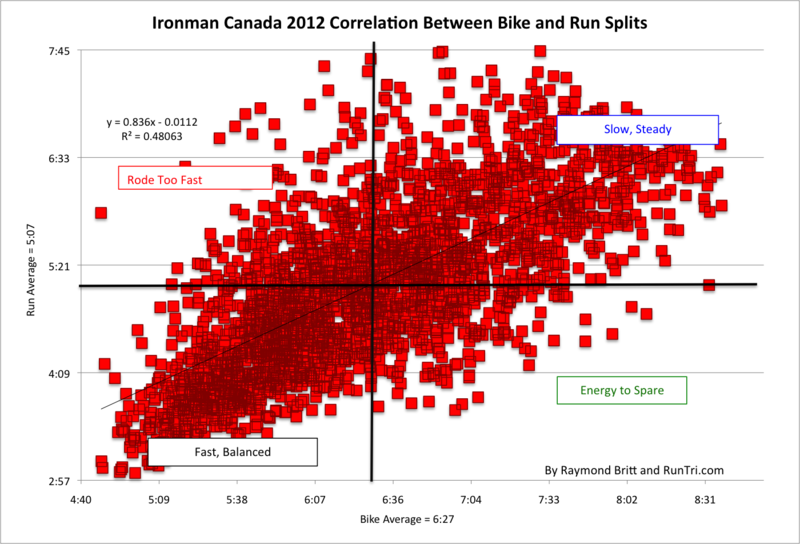 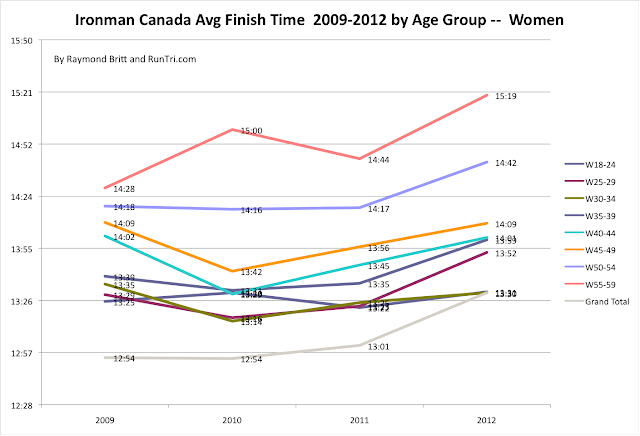 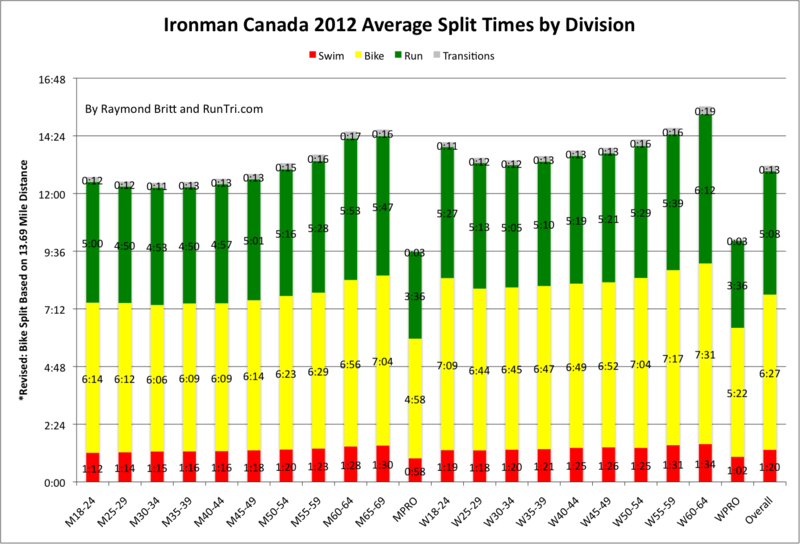 Also see our analysis of Ironman Canada 2012 Kona Qualifying Times. 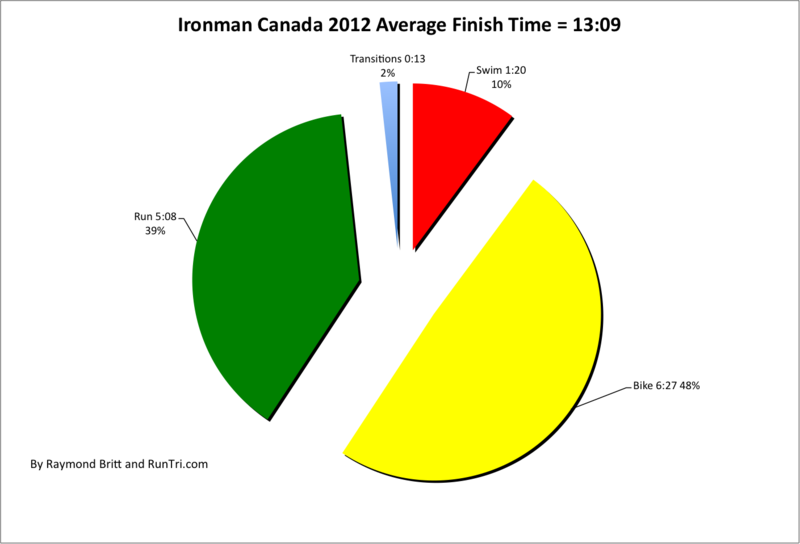 For more, see our complete Ironman Canada Coverage and to compare Ironman Canada results with other races, see our Comprehensive Stats/Results/Analysis page.